Target Retirement Date Mutual Funds – Is it really that easy? Why choosing a fund based on your age may not always be your best option. Target Date Funds have gained in popularity since their introduction in the early 90’s. And for good reason, they reduce something as complex as investing and retirement planning down to one single factor – your age. These funds, also known as a lifecycle funds, are designed to change their allocation of stocks and bonds as you age and move closer to retirement. The premise is that you become more conservative over time and therefore you should own more bonds and fewer stocks, bonds being less susceptible to changes in the economy and the stock market. While these funds make saving for retirement simple, they may actually make it too simple. Your retirement and other financial goals are dependent on much more than just your age. Age is a great starting point but you need to consider your risk profile, cash flow needs, income/expenses, current net worth and your other financial goals besides retirement. With these Target Retirement Funds you may actually be taking a lot of extra risk or leaving a lot of money on the table. Below I dig into some things to consider before trusting your retirement to one single mutual fund. Interested in Target Retirement Funds? 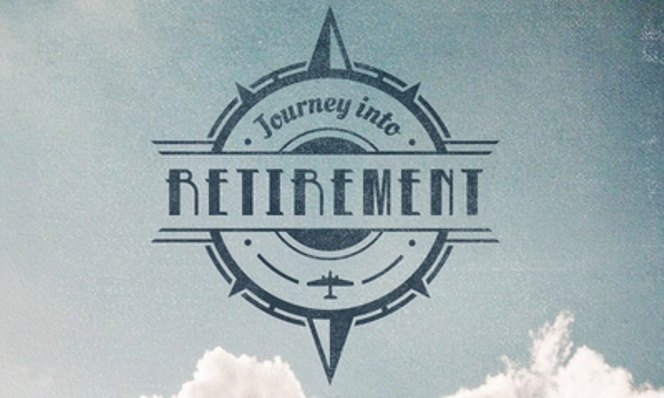 Check out our Short and Sweet Guide to Target Retirement Funds over at Fearless Men! Your Risk Profile is not just based on age. Risk Tolerance – The amount of risk you are willing to take based on your “feelings” about risk. Risk Demand – The amount of risk you need to take to accomplish your goals. Age is only one factor when allocating your portfolio. For example, an 80 year old, may have more than enough assets and sources of income (social security, pension, etc.) that he can live comfortably for the rest of his life. A Target Retirement Fund would have this person invested in an all bond portfolio – very conservative. However, this may be far too conservative. I am not saying he should be taking risk just because he can, I am saying that we have to look closer at his situation to determine how to best invest his assets. If he plans on passing his wealth to his children, or grandchildren then depending on their needs the portfolio should be more aggressive and hold a large percentage of stocks as opposed to the all bond portfolio that the target date fund would have invested him in. Likewise, a younger investor – let’s say age 30 – who, just based on age should be almost 100% allocated to stocks, has to support his parents or other dependents with income from his portfolio. Then the allocation should be based more on the required cash flows from the portfolio and not age at all. In this case the Target Date Fund would hold too many stocks and not enough bonds. Bonds are used to reduce the overall risk of the portfolio. As mentioned earlier, these target date funds increase the percentage of bonds in the portfolio the closer they are to their stated retirement date. This is done to reduce risk. However, not all bonds are created equal. Some bonds can be just as risky as stocks. There are generally two ways in which bonds are risky. They can have credit risk, and they can have duration risk (interest rate risk). So, what types of bonds do Target Date Funds hold? It can vary greatly. The T. Rowe Price 2030 Retirement Fund (TRRCX) holds approximately 15% bonds most of which are low quality (high risk) bonds with moderate interest rate risk. This can be seen on the Morningstar style box below. Now compare this to Vanguard 2030 Target Retirement Fund (VTHRX) which has a slightly higher bond allocation at approximately 22% bonds and holds mostly high quality (low risk) bonds with moderate interest rate risk. The Morningstar style box for this fund is below. These two funds are both targeting a retirement date of 2030 but vary greatly in the risk of their bond holdings. So, with these Target Date Funds you leave it up to the portfolio manager to choose your bond allocation even though your goals may not fully align with their bond strategy. You can check out an earlier post of mine to learn more about The Role of Bonds in a Portfolio, which will help you understand why the type of bonds in your portfolio are so important. Another problem with a Target Date Fund is that you have no control over what you sell when you need some cash. You only hold the one fund so you can only sell one fund. For example, if you need to raise cash from your portfolio to either fund retirement or for some other cash flow need, you must sell a portion of your investments to raise the cash. If you had diversified into multiple mutual funds and multiple bond funds you can choose which fund to sell given the market at the time. If the stock market was experiencing a downturn you would probably sell some of your bond funds, which may not have been effected by the stock market decline. Alternatively, if the stock market has been doing well, you may consider selling some stock funds and rebalance your portfolio at the same time. By structuring your portfolio correctly you can be a “Patient Seller” and avoid having to sell at the worst possible time. This is not an option with a Target Date Fund. You have to sell shares in your one fund, which means you are selling both stocks and bonds, which may be hurt with a downturn in the markets. Target Date Funds assume that you have no other assets. This is because the each Target date fund is allocated to certain percentage of stocks and bonds based on a target retirement date and any other investments would change this allocation. I often see investors with a Target Date Fund in their 401k in addition to many other funds. This doesn’t make sense because the Target Date Fund is supposed to be choosing your allocation for you. Let’s say the Target Retirement Fund is trying to achieve an 80% stock allocation and a 20% bond allocation but you own one other stock fund and two other bond funds which bring your overall portfolio allocation to 60% Stocks and 40% bonds. Well, which allocation are you trying to achieve? 80/20 or 60/40? Do you have any accounts besides your 401k? Unless you hold the same Target Date Fund in each account your total portfolio allocation will be altered further. Target Date Funds certainly make things simple but this may be one of the times when simple is not better. Everyone’s situation is different and requires a different investment strategy. The key is to have a plan. What are you trying to accomplish? If you are just trying to plan for retirement and nothing else you should do some analysis to determine when you want to retire, when you can retire, and what kind of lifestyle you want to have during retirement. Once you know these goals the rest is really just math to determine your allocation to stocks and bonds. As life changes or as the market changes revisit your plan to determine if you need to make changes to your allocation. This will make for a much more effective portfolio and give you best chance at achieving retirement and your other goals. Phillip Christenson is a Chartered Financial Analyst (CFA) and owner of an Independent Fee-Only Financial Planning Company in Minnesota, Phillip James Financial. He also authors a blog on his website devoted to personal finance and investments. He can be reached at phil@phillipjamesfinancial.com or by calling 763-639-2175. Fee-Only Makes a Difference. I always would shy away from target date funds as most have really high fee’s related to them. There are some offerings that have reasonable fees, but others seem to overcharge investors. I guess though that if you are only investing in 1 fund, the fund company needs to makes its money somehow. Vanguard has some good low cost Target Retirement date funds however, costs are only one small part of it. The bigger risk is that the fund does not match up with your goals and/or risk profile. These funds don’t consider you overall portfolio allocation so unless this is the only fund you are holding it is hard to get to your ideal allocation and keep it there. Vanguard manages some of my 401k so I have about 20% of my retirement portfolio in a Vanguard target fund and then another 20% in a Vanguard index fund. The rest is stocks. You probably guessed that I really like Vanguard because of their low fees. I never thought about how the target fund complicates my portfolio but I get what you’re saying. I’ll have to think about that and maybe move it to another index fund. Great points Todd, I invested my money into a TDRF and I’ve been looking at switching as well. The problem is right now the market is on this major upswing and by switching right now I would end up buying shares at much higher prices and if the market would tank I would loose out big. Instead I’m waiting for the next down turn when prices are low. What’s your thoughts? The market has certainly been in an uptrend for some time, however, people were saying that 6 months ago, a year ago, and even before that. Don’t try to time the market, simply rebalance back to your ideal allocation when the market flucuates. Do this and you will in effect be buying low and selling high. And you will be a better investor then 90% of the people out there. Phillip, I use a similar strategy. I think it’s called Dollar Cost Averaging. I learned years ago to stop trying to time the market unless I planned to be a day-trader. Dollar Cost Averaging is actually the systematic approach to buying into the market. i.e. investing a certain amount of money over time. What I am referring with rebalancing, is the selling and buying securities to get back to a predetermined allocation. For example, let’s say you set yourself up with an 80% stock and 20% bond portfolio. Then the market increases and your stocks are worth more then your bonds. Your portfolio is now a 90% stock portfolio and 10% bond portfolio. This change in your allocation is only because the market value of your stock have increased not because you purchased any more stocks. So, you would then sell some stocks and buy some bonds to get back to your allocation of 80% stocks and 20% bonds. By using this type of strategy you can sell high and buy low, without having to time the market. It’s a a different way to look at investing. Rather then focusing on picking stocks, you have a logical, pre-thought out system, which is much more conducive to growing wealth. I don’t think target retirement date mutual funds are not that really easy because there are many things to be paid. Well I’ll be. I think I’m going to make some switches in my 401. Thanks!